Frederick James Goguen, 81, of Moncton passed away peacefully on January 28th, 2019 at the Moncton Hospital with his family by his side. Fred was the son of Cecelia Gardner and was born on May 17th, 1937. He was brought up in Alma, lovingly raised by his grandparents, Charlie and Nellie Rossiter. He was a hard worker and worked as a Industrial Mechanic. He enjoyed driving the back roads of Albert County and was very proud of his Albert County roots. He was smart as a whip and loved to tell stories. He enjoyed watching sports and participating in bowling and the local softball games where he was known for his pitching abilities. He will be remembered for his great sense of humour and laugh.
" You may be gone from out sight, but you are never gone from our hearts." 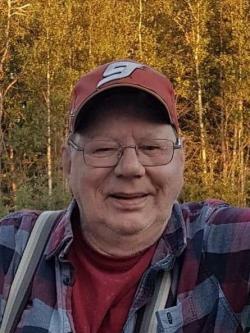 He will be deeply missed by his children, Cathy Sherrard (Brad) and Fred Goguen Jr. (Kelly) both of Moncton; his treasured grandchildren, Shally, Amelia, Freddie, Ethan and Regina. He will also be missed by several nieces; nephews and by his dog, Goldie. Besides his grandparents he was predeceased by his beloved wife, Nettie (Steeves) Goguen. Honouring Fred's own wishes there will be no visitation or funeral service. Interment will be in the Albert Mines Baptist Cemetery, Albert Mines in the spring. Donations in Fred's memory to the charity of the donor's choice would be appreciated.